Growing up I worked with my father in his construction business and have always had a passion for renovation and refacing spaces. My wife Anna is a professionally trained interior designer. Starting Malek Construction has allowed me to get back to working on homes and gives my wife Anna and me the opportunity to work together. One of my goals when I began Malek Construction was to build and grow a small business here in my hometown. Small businesses are vital to the community, and Akron, Ohio, and the surrounding areas have been built by entrepreneurs chasing their dreams. Working with my father’s construction company provided the educational foundation and gave me a real passion for renovation. For a few years, I put this passion on the back burner as I worked as a professional in the Healthcare IT field. Before long I began purchasing investment properties to renovate and rent. During this process, I got married and bought a house with my wife. We worked with my father-in-law (also a contractor) on renovating it and were amazed at the creative work we could all do together. This reignited my passion and gave me the push to start to work on more and more projects. At first, it was just a few side projects for friends and family, but as we did more quality work, the phone kept ringing. Realizing this passion was becoming a career, I obtained my general contractor’s license and joined the BBB, AngiesList and Thumbtack to put our name out there. I’m humbled to say the phone hasn’t stopped ringing since, and I’m so proud every day of the work I, my wife and our growing team has done! We believe we are different because we like guiding the renovation process and helping find solutions to problems for our customers. Some of our customers may have a general sense of their goals, others don’t, but we take it as our goal to help shape their vision. We first listen, then we share our expertise in construction and design to help shape a project. Our focus on collaboration is rare in the industry and it is truly what drives us. 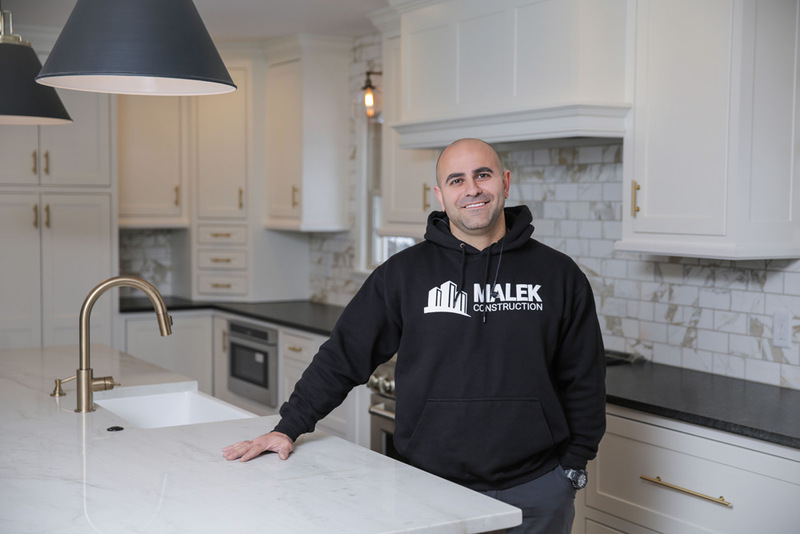 Today, Malek Construction has grown from a passion project in my family into a business that is helping improve homes throughout the greater Akron area. We’re excited to share our story with you, but we’re also excited to hear yours. If we can help with your next home improvement project, let us know and we’ll be happy to talk.